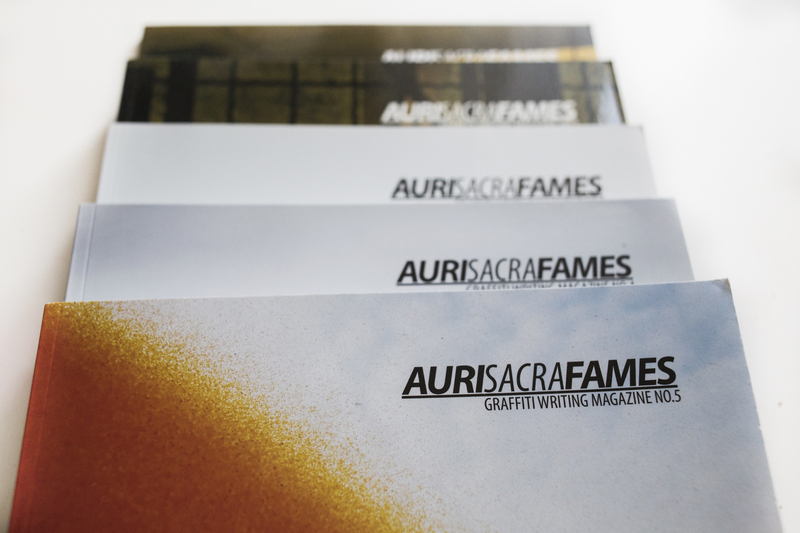 Last month Berlin’s Auri Sacra Fames mag celebrated its fifth anniversary! To mark the occasion we did an interview starting with how the magazine first began and the ethic behind it. 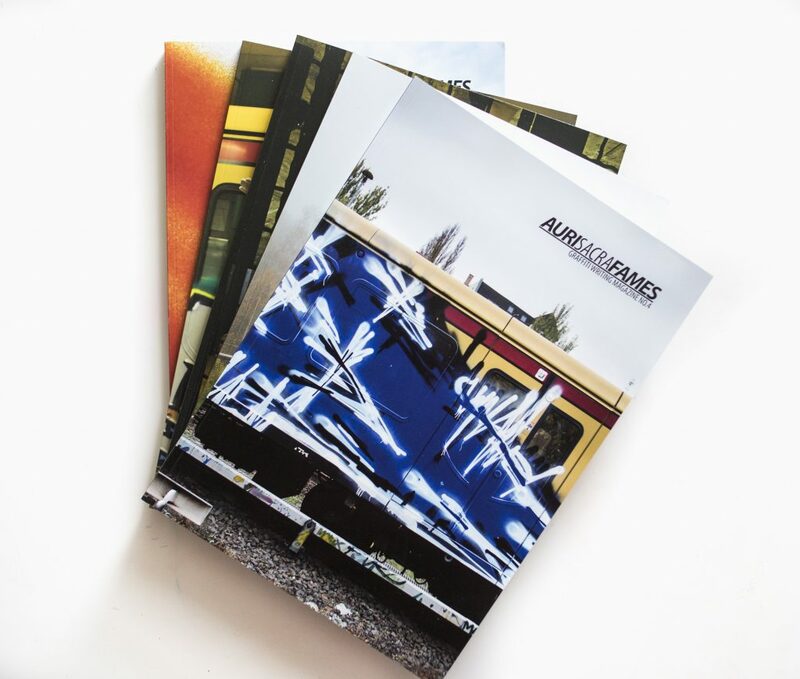 “The main idea behind the magazine was to give an high quality alternative to Streetfiles in times when other Berlin magazines were dead or paused. My former magazine-partner and me did shoot a lot of photos at this time (2008-2012) but we didn’t want to upload the really good ones, so we kept them back. I was helping the Streetfiles-team at that time as an admin to accept and rate the users uploads. The growing mass of stuff which came online at that point was a blast! I remember 1000+ photos which had to be accepted on weekdays, some more at the weekend. But somehow the attention you paid to graffiti on this platform changed. The average time I would spend on looking at trains, hall-pieces, tags, etc. was reduced to a few seconds. Open, look, bookmark/love/hate, skip to the next one… I grew up with magazines like Overkill, which I did not just read, I studied. The pieces, the colour schemes, the tags and so on. It was the only access to graffiti-photos I had for several months. So in a way Streetfiles, later on myspace, tumblr and facebook, and nowadays instagram, is the real ‘overkill’, not INKA’s legendary magazine. 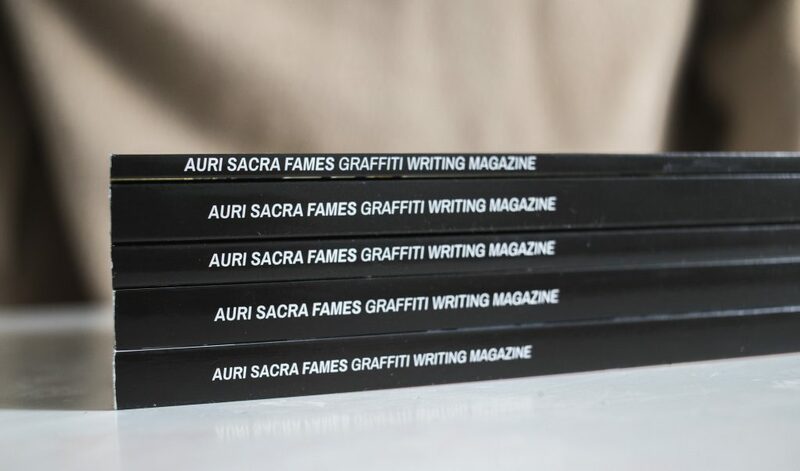 From the very first issue Auri Sacra Fames has emphasised good quality photography to display its subject properly. Considering just how much content is packed into each issue this consistent quality is an impressive feat. “The editing of the last issues was a result of scanning the scene for the most active and most interesting people in town in the respective years. Our approach was to give an objective insight in the chapters on tags, S-Bahn, U-Bahn, etc. In the specials you can find people who stand out from the crowd whether through quality or quantity. Our personal taste has most often nothing to do with the stuff we show in the magazine. Who the hell is interested in the stuff I like? Aside from the photographic content the magazine always features interesting texts. These are often in an unusual or sometimes even poetic style. Another overall element of the mag is its exclusive representation of the Berlin scene. Unlike other magazines, which often have a national or even global reach, the aim for Auri Sacra Fames is to honestly document all the elements of Berlin graff. Every issue of the magazine to date has had a different theme. Ideas are already taking shape for the next edition.